Stick 'em to any smooth surface! Mini Squigz may be tiny, but their building fun is MIGHTY! These new members of the Squigz family are 40% smaller, packed with more pieces, and designed with the addition of a new shape and new colors. They take Suction Construction to a whole new level of POPPING excitement! Just like the originals, much of the thrill is in pushing them together and pulling them apart for that ever so ear-pleasing POP. But now, the building possibilities are more endless, more intricate, and more fun than ever before. Stick them to any flat surface you can imagine. Build them up, out, sideways, around, and any which way you can think of. Just like before, they always stick strong and never leave behind any residue. Mini Squigz are all about freedom of expressive construction while boosting fine motor skills to whole new heights. The moment you pick these little suckers up, your hands won't want to stop exploring, experimenting, and endlessly constructing! They're like vitamins for your hands and brain! 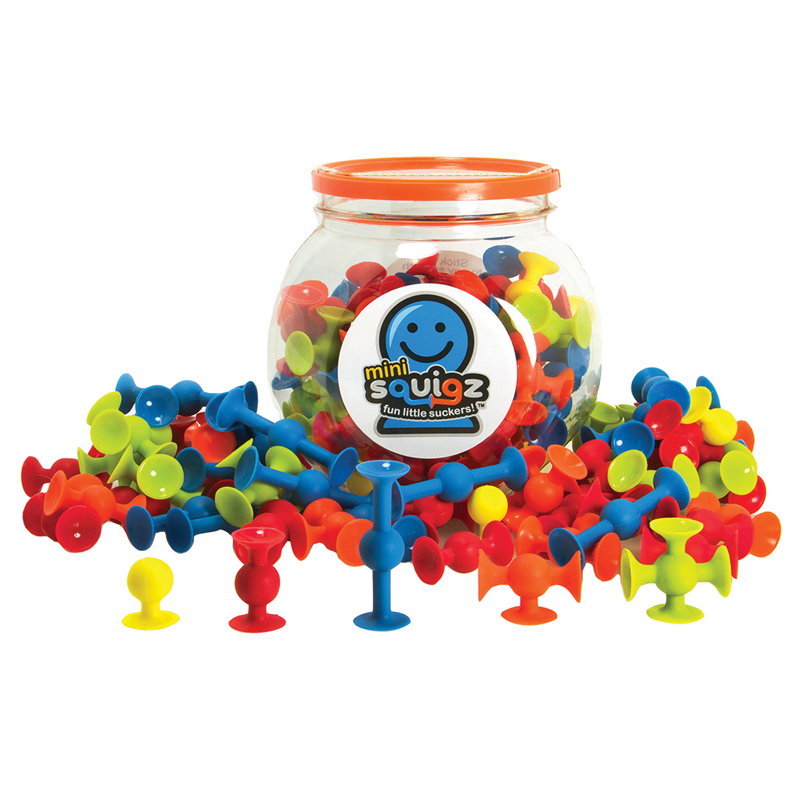 Whether in the playroom, at the office, on the coffee table, or even in the car on a long road trip, you're sure to have B-I-G fun with Mini Squigz.